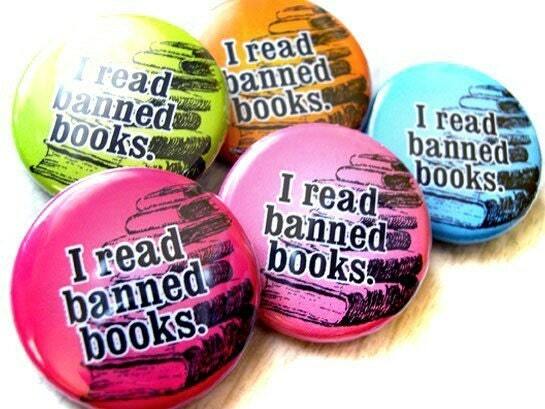 In honor of Banned Books week, there's a lot of discussion going on in the literary blogosphere about author's own personal experiences with their books being challenged and banned in schools. Both John Green and Ellen Hopkins have written some really thought provoking posts about their own experiences with this topic. What people who are trying to ban books don't realize is that all it does is make everyone want to read the books even MORE. When I found out the children's book And Tango Makes Three is the most banned book in the country right now, what do you think the first thing I did was? Checked it out from the library to read what all the fuss was about. It's the same for kids and teens. You tell them of forbidden fruit and they're going to want to eat it. What I'd like to see instead of banning books is parents sitting their kids down and having a discussion with them about why that book is so objectionable and what lessons they as a parent hope their kids will learn from the book. They should be the person their kids hear these things from rather than their friends. There's no doubt that there are obviously books that parents are justified in banning due to age appropriateness (or lack thereof), but banning it completely is what disturbs me. For example, I would be horrified if I were a parent and found out that my child was reading John Green's Looking for Alaska in the 6th grade because the themes in that book are much too mature for 11 year olds. But banning the book for high school juniors is upsetting and downright sad.